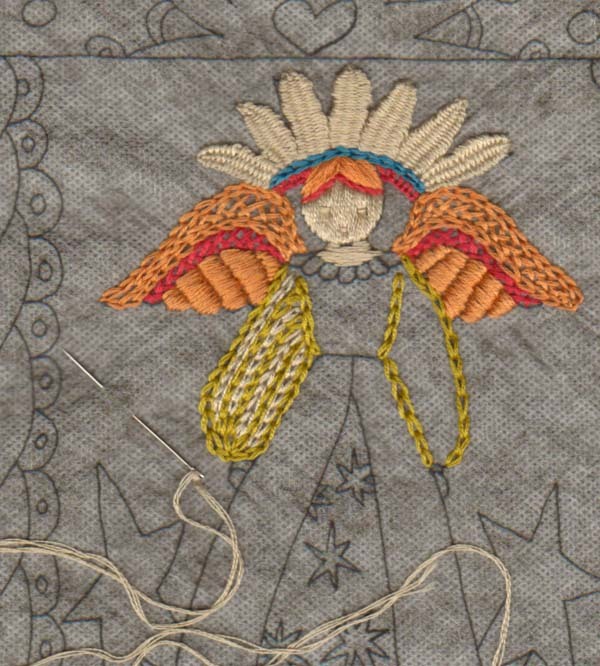 I am working on a teaching sampler for a surface embroidery class. This is not counted cross stitch. 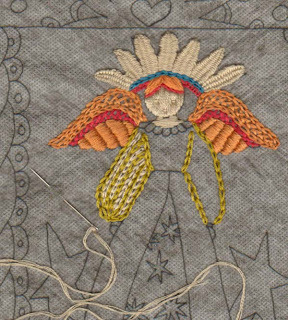 It is satin, chain,blanket,... and some basic 3D stitches, the detached picot that are the rays of the angel's halo. The background is Transfer-Eze which is the perfect product for stitching on wool.